 Home › Politics News › AGAIN! Igbo Leaders Are Pressurizing PDP Candidate Atiku To Sign An Undertaking For A Single Term... More Shocking Reports Emerges! AGAIN! Igbo Leaders Are Pressurizing PDP Candidate Atiku To Sign An Undertaking For A Single Term... More Shocking Reports Emerges! 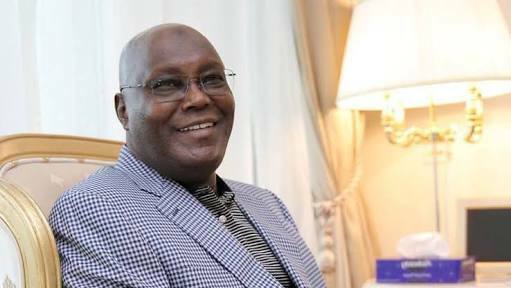 that PDP presidential candidate Atiku Abubakar must sign an undertaking that he will serve just a single term, in the event that he wins, before they can concede to give him full support for 2019. Since there is no strong presence of APC in the South-East, it is unlikely that President Buhari will handover power to an Igbo man in 2023, if he wins in 2019. Already, the likes of Bola Tinubu are strategizing to take over from Buhari, since the South-West is fully in control of APC. So, the hope of Igbos for 2023 is still on PDP and Atiku. But according to The Nation, Atiku does not seem to be interested in committing himself to a single term in office if he wins next year’s election. The idea is to pave the way for one of them to succeed him in 2023. But Atiku, who believes his choice of Mr. Peter Obi from the zone is enough as an expression of his respect for the people, is not keen on doing one term.